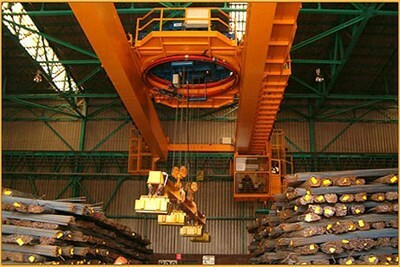 Rotating traverse overhead magnet crane is used to transport the hot slabs and feed them to the rolling mills. 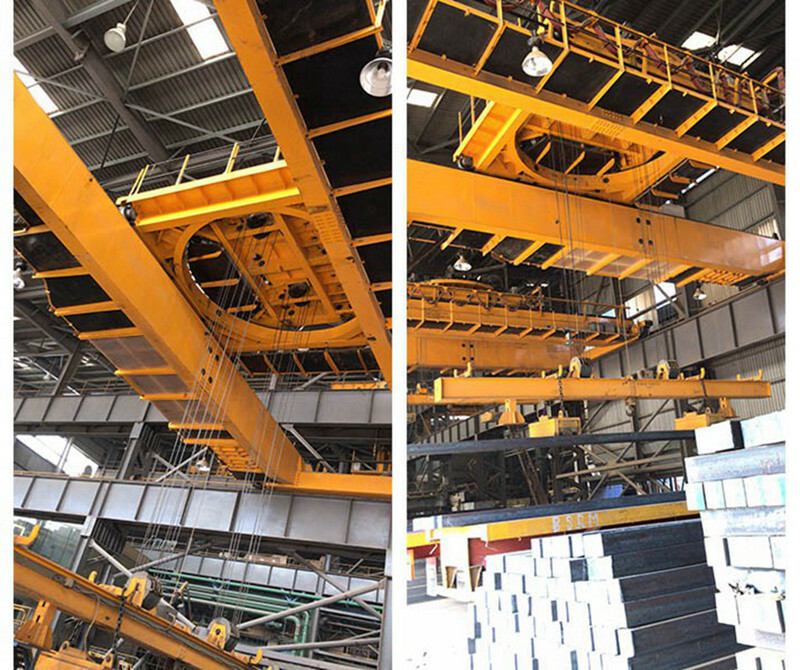 Rotating traverse overhead magnet crane has very high speeds, without compromising safety, many other safety features like heat shields, and many standard safety features like multiple overload relays, limit switches, double service brakes, etc. 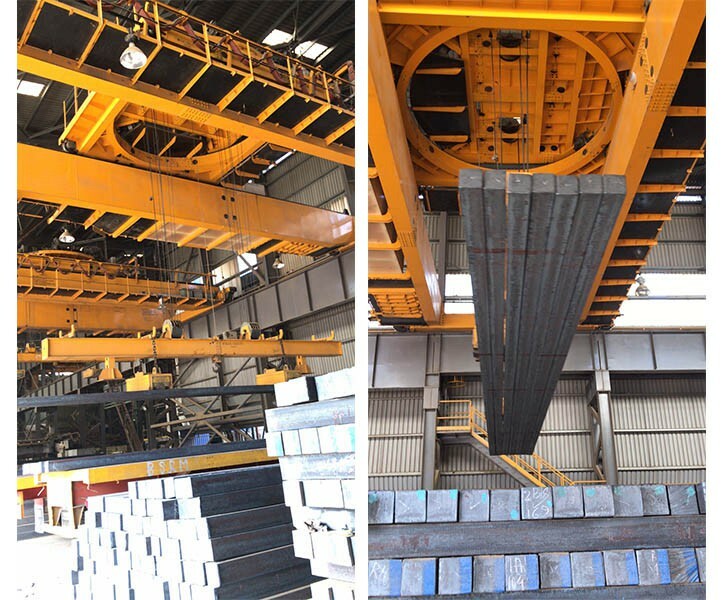 Specially designed Rotating Trolley cranes, for rotating and better positioning of slabs, drastically reduce production time and drastically reduce storage space. 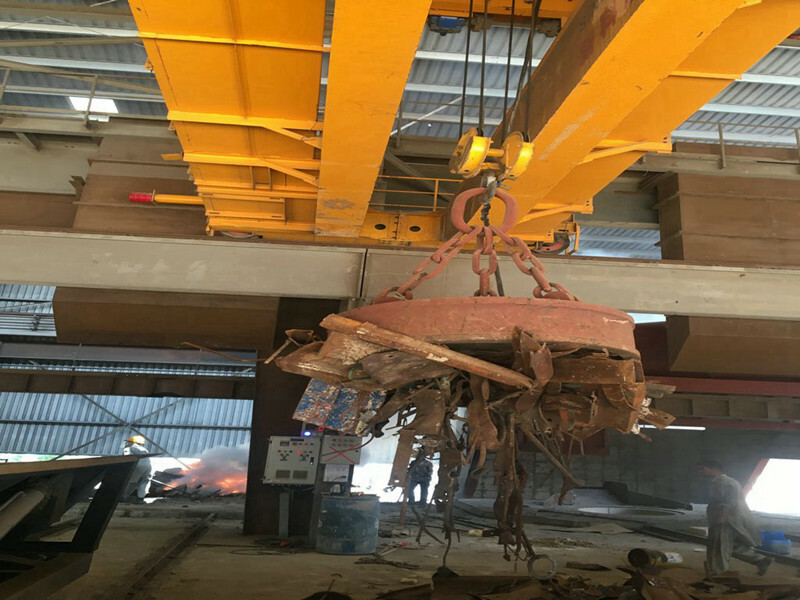 Overhead magnet crane with rotating traverse beam magnet spreader are specially designed to handle very high speeds, continuous operations, extreme heat transfer from hot slabs and heavy dust accumulation. SINOKOCRANES have developed a rotating trolley crane which can rotate for better positioning, storage of slabs. 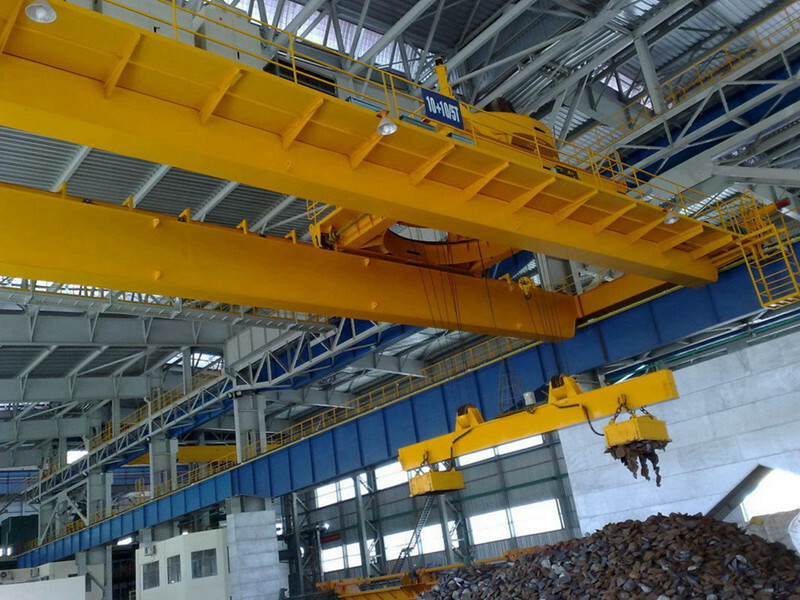 This crane drastically reducing production time and also space required for storage.